As a family, we love our cheese. My wife Anne originates in the French Basque Country whose people are well-versed in safeguarding tradition. Nowhere is this more true than their food which plays a key role in Basque identity. 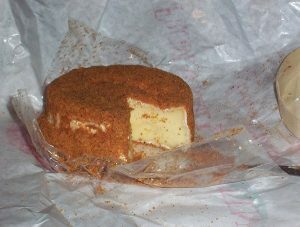 In particular, people are passionate about their home-produced cheeses which they’ve grown up eating. In France, as in Britain, we take protection of our cheeses seriously. Roquefort, was the first cheese to be protected by Appellation d’Origine Contrôlée (certification based on the concept of terroir) in 1925 – although it has been regulated by a parliamentary decree since 1411!. Since then, more than 40 cheeses have achieved AOC status, including Ossau-Iraty from the Basque Country. On arrival in Yorkshire, we were delighted to discover that our shared history following the Norman invasion and subsequent influx of expert cheese making Cistercian monks, meant that the area has a rich history of cheese production. 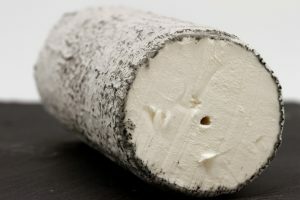 This legacy lives on today in a wide selection of established cheeses including two afforded protected status (Swaledale Cheese and Yorkshire Wensleydale Cheese) as well as smaller Yorkshire producers making traditional cheese with milk from their own herds such as Lacey’s Cheese, Lowna Dairy and Ribblesdale. Our latest favourite cheese is the new Wensleydale Yorkshire Brie, a soft and creamy British alternative to the French classic. 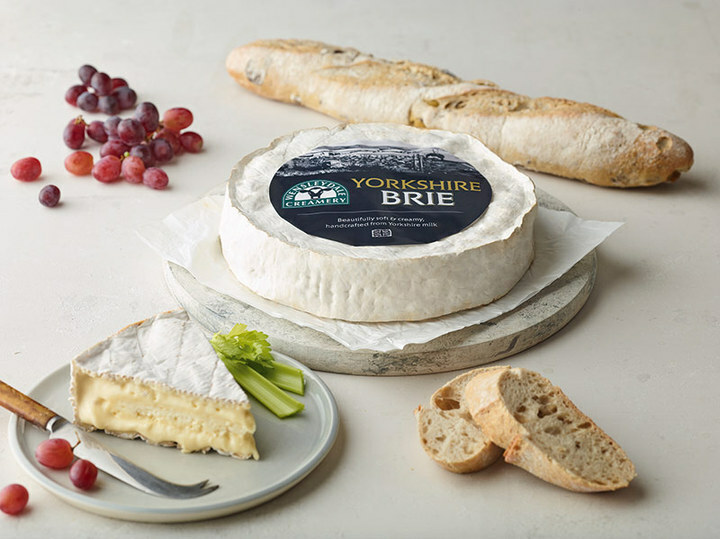 Made from Yorkshire milk, the cheese has a deliciously silky texture and is delicious served with a crusty baguette (and a dollop of cherry or blackcurrant jam for Anne – but that’s a whole other story). 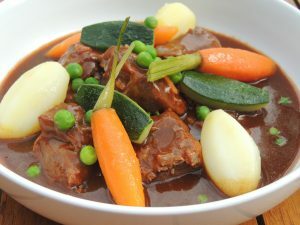 My delicious Lamb Navarin with spring vegetables is a perfect Father’s Day meal. A French ragout (stew) which is easy to make and Dads will love it! Brown the lamb pieces in the olive oil. Dice the onions and add them to the lamb. Then add the tomato paste and red wine. Cook for 5 minutes, then add the vegetable stock and the bouquet garni. Cover with a lid and cook in the oven for 90 minutes. Separate the meat from the sauce and leave on one side. Spoon off the excess oil from top of the sauce. Then add the gravy and salt and pepper to the sauce. Serve with carrots, Jersey Royal new potatoes, courgette and peas.